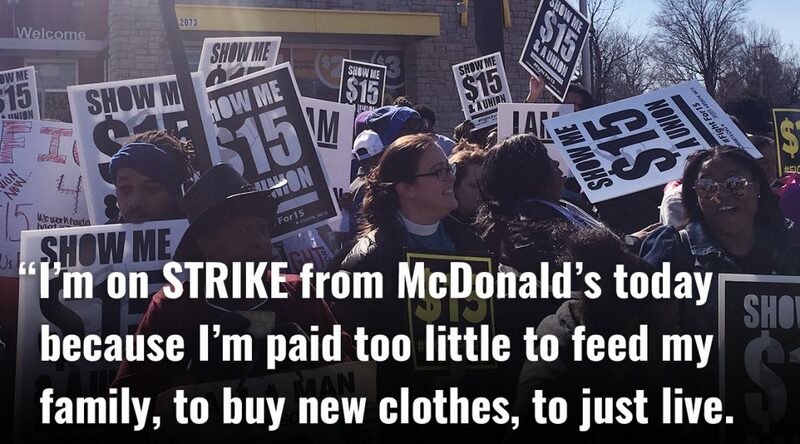 Just moments ago, workers in the Fight for $15 went ON STRIKE in Memphis. We NEED $15 an hour, union rights, and respect on the job regardless of race – and we need it now. We’re striking and marching today inspired by the black sanitation workers who went on strike with Martin Luther King Jr. in this very city 50 years ago. They fought for dignity, for respect, for fair pay and for union rights. We fight for the very same reasons. We deserve a chance at the American dream. 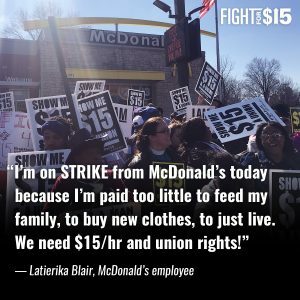 We deserve $15 an hour and union rights. Stand with us: Share THIS on Facebook right now. When you share, you amplify our voices, you bring new people into the movement – and you help us win.